Class Summary: Have you ever wondered how water is able to change into ice, or even steam? This course introduces students to the idea of shifting states of matter in which elements can transform from liquid, gas, and solid states. 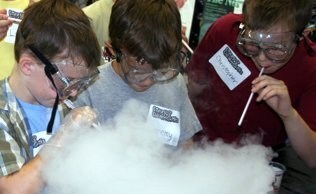 During this course, the children will get to experiment with dry ice (with the help of our instructors), in order to conduct a series of tests and explore the properties of matter. 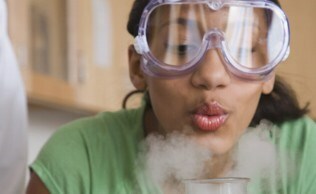 Educational Value: During this course students will explore the three states of matter—liquid, solid, and gas—and how each state comes about. They will learn all about the physical properties associated with each state of matter and how to tell the difference between the various states. Towards the end of the course they will learn how the adding or removing of heat plays a huge role in changing the various states from one to another.